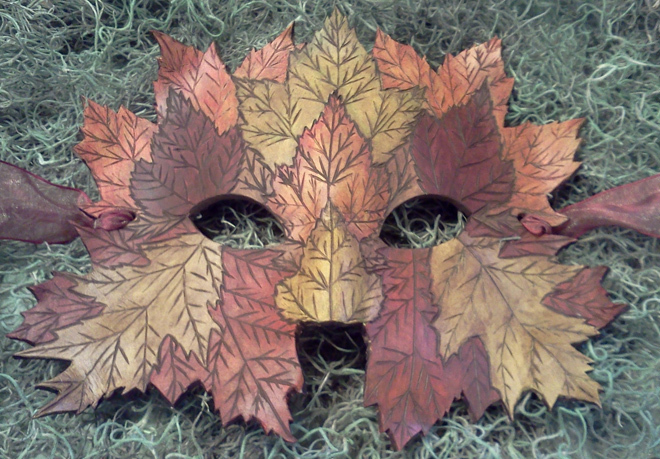 Fairy masks range from the simple to the elaborate, and can fit all manner of classification: today we highlight handmade woodland masks—and we’ve found some beauties! 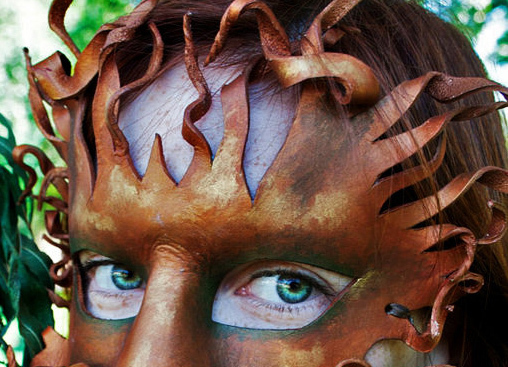 You’re a Dryad, the Greek tree sprite, in this hand-painted leather crafted mask (right, and above on the green-eyed model) by Ashley Marysa and Eve Larkspur of Oak Myth. 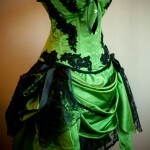 Painted in rich, warm hues, you’ll glisten in the sun! 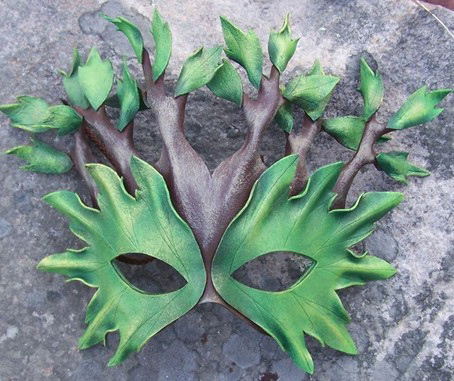 Another beautiful interpretation of the woodland fairy is this Dryad Mask (right) by husband and wife team Leah and Shane Odom of Mythical Designs in green. Also hand sculpted and painted leather, this piece was originally crafted for a performance where the fairy morphs into a tree! 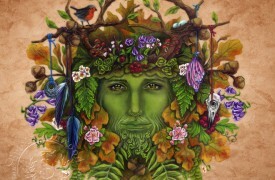 Metamorphose even more deeply into this Handcrafted Leather Greenman Mask (below) by Wicked Wurks. 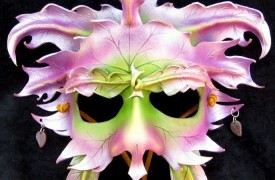 The leafy details are burned into this soft leather mask and can be tied on with an iridescent ribbon. Megan, the designer, recommends it as an art piece for the wall also. We agree! 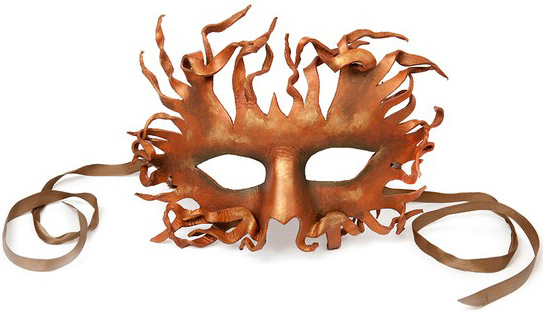 With a little imagination — one of these delightful leather crafted masks — you are Diana, or Brucie, the French forest sprite, or any of the forest guardian fairies. 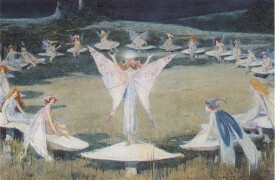 Wood nymphs come alive and out from behind your trees!